Cricket Pakistan | Fakhar Zaman, we are proud of you! Fakhar Zaman, we are proud of you! The biggest flaw in the Pakistani domestic cricket structure is that the biggest talents go unnoticed. From being one of the most promising talents around, the youngsters fade away into obscurity and are forced to ponder upon other career options. While there certainly are numerous problems with our domestic cricket structure, there are many young players who break the barriers and get picked up on the basis of their raw talent. And thank heavens that things are slightly better today than they were in the past. The media, and now the social media, has played a crucial role in highlighting the talents of players. Nowadays, any hint of talent is pounced upon by the cricket-mad Pakistanis who start promoting the player and bring them to the forefront. But despite the effect the media — both social and traditional — has on player recruitment, it can be said without doubt that the biggest, and most crucial, role in developing and grooming young talent has been played by the Pakistan Super League (PSL). Players who were unknown before, now have become global superstars and one such player who fits the description above is Fakhar Zaman, who made his List-A debut in 2012 and his First-Class debut the next year. However, he only got the opportunity to represent Pakistan in 2017. And for that, we are grateful to Lahore Qalandars who handed him his first opportunity in PSL2. Captain Brendan McCullum had already told Zaman that no matter what, he will be play all eight matches and encouraged him to play in his natural style. He played all the matches despite his performances being average at best, but Lahore Qalandars' faith in him never wavered, which is a huge credit to them. And all that hard work and faith showed everyone that Zaman is a name to be reckoned with. The former Navy sailor had already played some crucial knocks in many important matches, including the Quaid-e-Azam Trophy final, and that’s why there was no doubt in the selector’s minds that Zaman should be on the plane with them when the team travels to England to play the ICC Champions Trophy. There is another person worthy of a special mention and that is Pakistan Cricket Club coach and incumbent manager of Quetta Gladiators Azam Khan, who played an important role in helping Zaman become a finished article. 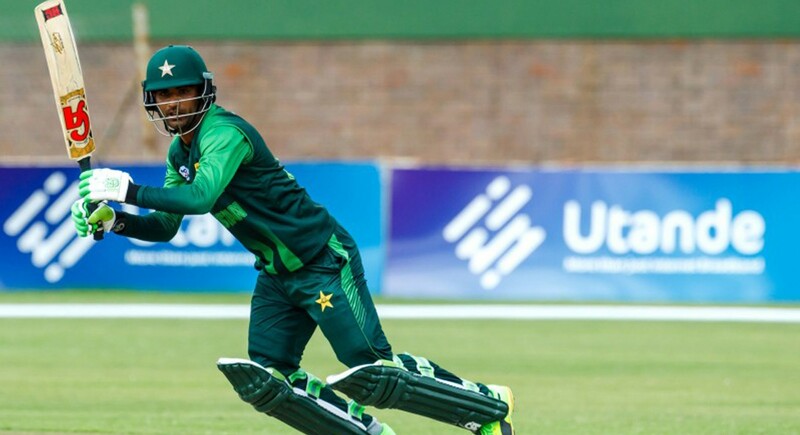 Urged to take care of Zaman by Pakistan Navy coach Nazim Khan, Azam took the young 18-year-old boy under his wing and enrolled him in the Pakistan Cricket Club where Pakistan captain Sarfraz Ahmed also used to play. Since then, Zaman has just moved upwards and his brilliant performance in the ICC Champions Trophy, where he recorded scores of 31, 50, 57 and a superb match-winning 114 against India in the final which will always remain etched in the memories of every Pakistani, made him the superstar that he is today. In the recently-concluded Tri-Series against Zimbabwe and Australia, Zaman has been outstanding and bar one performance, has been the heart and soul of Pakistan’s batting. Even in the Tri-Series final, getting Pakistan into a winning position after the team was reduced to 2-2 in the very first over takes a lot of mental strength and Zaman has been perfect in that aspect. Now the dilemma is that Pakistan have Zaman and he looks set, but the Men in Green don't have another opener. Ahmed Shehzad's career trajectory has been dismal as best and given his latest controversy involving doping, the end of his career is a matter of when not if. Muhammad Hafeez, the other opener in Pakistan’s ranks, has not found his consistency despite having had many chances, while Sahibzada Farhan would really want to forget his debut match where he got dismissed off the very first ball he faced — it wasn’t even a ball he faced, but a wide. To be fair to him, he was sent in to open against a rampant Australian side in the final of an important series and that is not just with anyone just making their international debut. This situation arrived because Haris Sohail, who was selected as the opener in place of Hafeez, flopped in both the matches that he played leaving the team management no option that to try the young and inexperienced Farhan. Pakistan's opening wicket could only conjure up scores of 13, naught, 58, eight and two. A strong opening stand is of vital importance and the selectors have to think along these lines. If Zaman gets support from the other end, he can perform even better. He was selected in the England-bound Test squad as well, but didn't get a chance. Testing him in the Test format is not a bad option. Test cricket these days is not like the Test cricket of the past; slow and painstakingly slow. Batsmen like Zaman will entertain fans and that is exactly what Test cricket needs at the moment — a little bit of entertainment. Comparisons with any batsman are unfair, especially with world class ones. But Zaman’s batting style does resemble to that of a former great who would also attack the bowlers from the first delivery. He just needs to be a bit more careful with his shot selection, which can culminate into more consistent displays. His abilities are unquestionable and he doesn't let success get to his head. He is a humble and down-to-earth kind of a person. Be it the Champions Trophy Final against arch rivals India or against Australia in the ongoing Tri-Series, Zaman has proved himself to be a big-game player. Fakhar Zaman, we as a nation are proud of you!